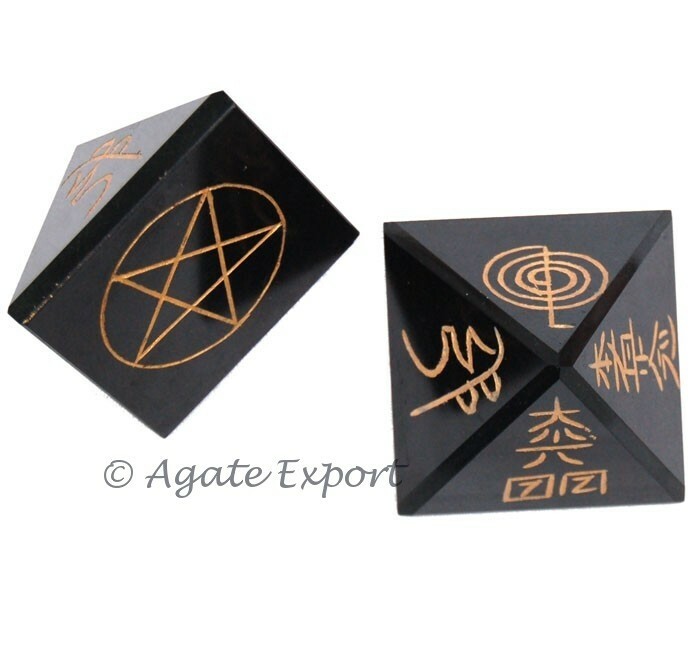 Agate Export offers Usui Reiki Pyramid. Each surface of the pyramid has symbols like Sei Hei Ki, Cho Ko, Pentagram etc. The energy discharging from pyramid supports Reiki treatment.